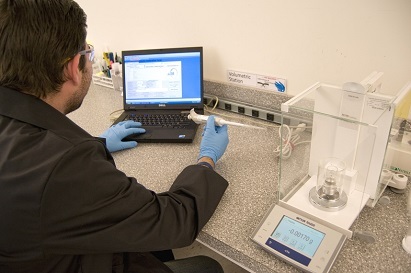 Providing NIST traceable, instrument & test equipment calibration services, A2LA ISO/IEC17025 accredited pipette calibration services, on-site or in our Metrology Laboratory. in our Training Management System (TMS). as well as our Quality Assurance team. FDA-regulated industries is where we specialize including: Pharmaceutical, Biotechnology, Medical Device, Food Safety, Beverage, Cosmetics and Nutraceuticals. If you’re looking for professionalism, experience and outstanding service, we’re here to help. For 21 years, we have been supporting regulated businesses nationwide. The defining ingredients of our company are being responsive, customer focused and consistently delivering best value quality services. Click around our web site for all of the equipment services we provide. The photos are of our facility and our employees. If you’re in the area, stop by. We’d enjoy showing you around our laboratory and would be delighted at the opportunity to earn your business. Providing ISO 17025:2005 A2LA Accredited and NIST traceable on-site equipment calibration services throughout the U.S.
ISO 17025:2005 A2LA Accredited Pipette Calibration Services on-site or in our Metrology laboratory with 24 hour turnaround. Click to fill out the easy-to-use form for a free personalized quote within 24 hours. * Export data to a Microsoft Excel format. All of our e-reports provide you with a detailed documentation trail for all of your equipment calibration services. In addition, all electronic reports are saved as PDF files, they are emailed directly to you and are stored on our servers where you can gain ready access via your computer or mobile device. For more information, click here. To continually deliver the highest quality of services, we make a commitment in our people and in our business. We maintain two very important registrations. ISO 9001:2015 Registration. & ISO/IEC 17025:2005 Accreditation. Our Metrology Laboratory regularly participates in the National Association for Proficiency Testing. This organization compares the performance and capability of multiple laboratories performing like calibrations of a single type. 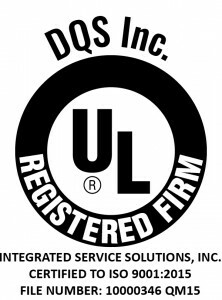 Our registration is from UL DQS, Inc. This is an internationally recognized standard to ensure that a company’s quality management system is operating effectively and that clear corporate goals have been defined. Our next audit is scheduled for 4.14. View our ISO 9001:2015 Registration. To complement the electronic reports and provide our customers with a first-class calibration package, all of our calibration labels are electronically generated and include bar codes with unique equipment identifiers. These durable, thermal printed labels eliminate human error, ensure data accuracy and are easy to read.